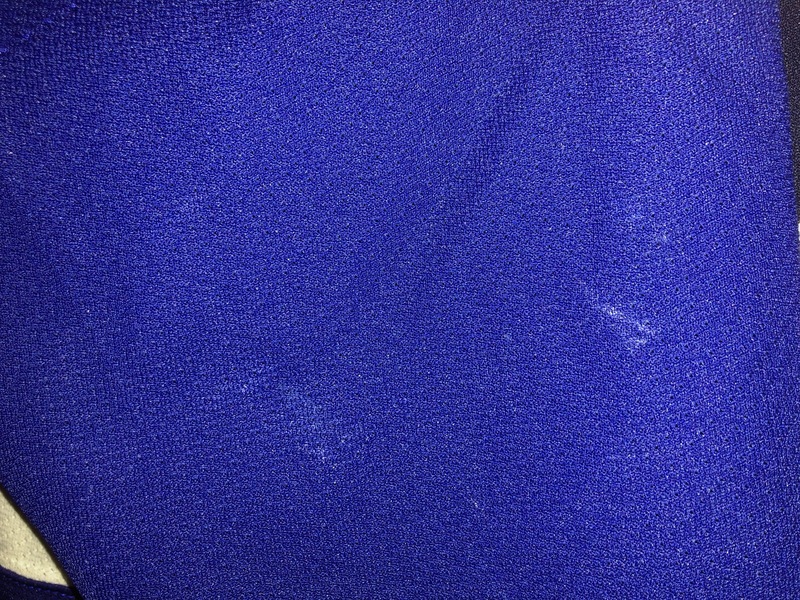 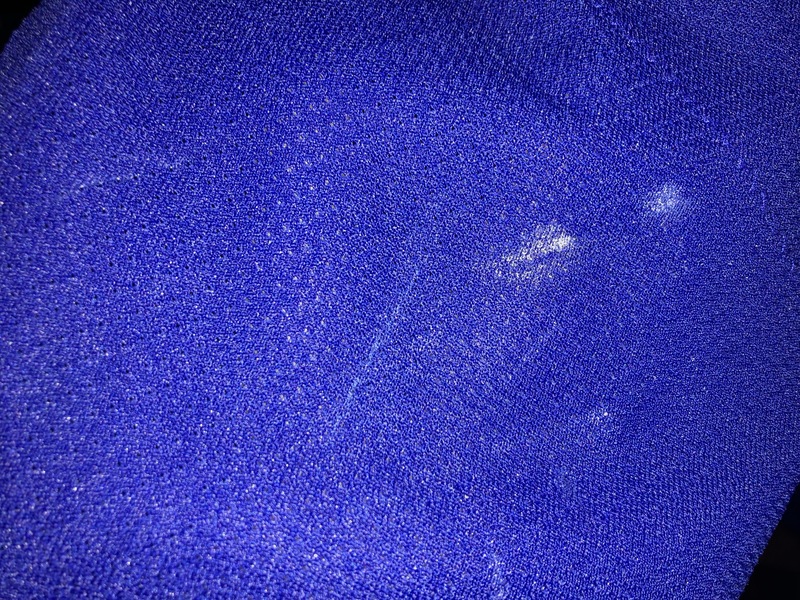 This jersey has light use with marks on both arms. 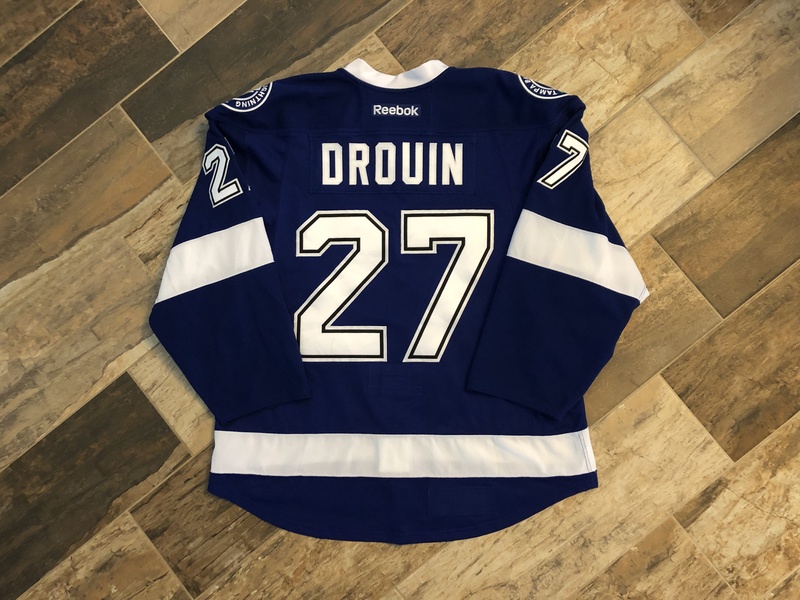 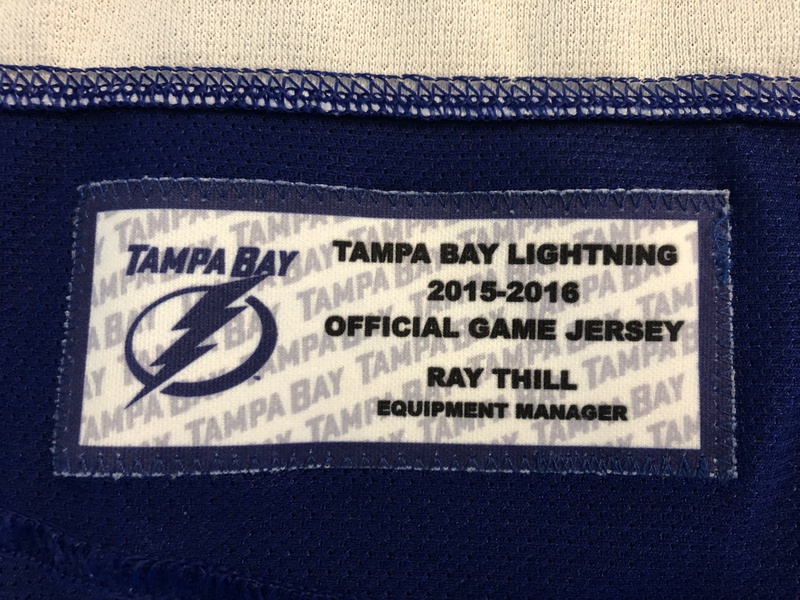 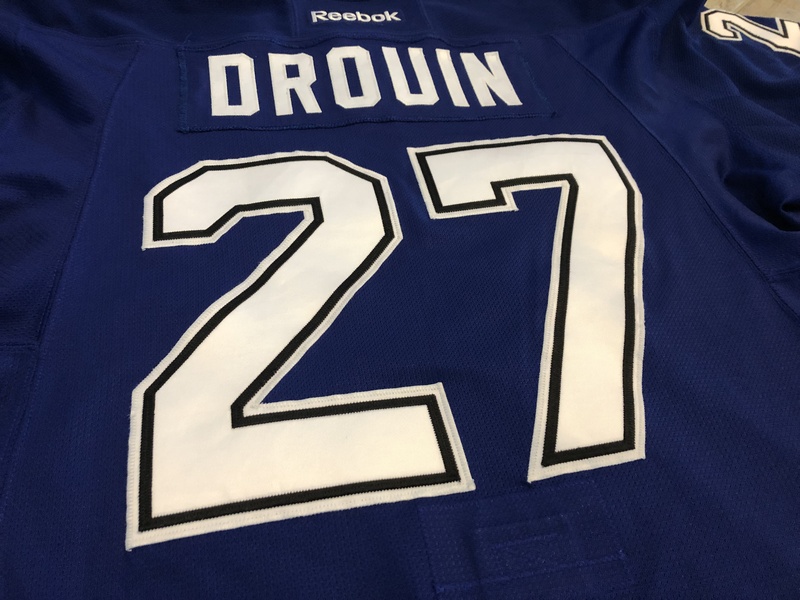 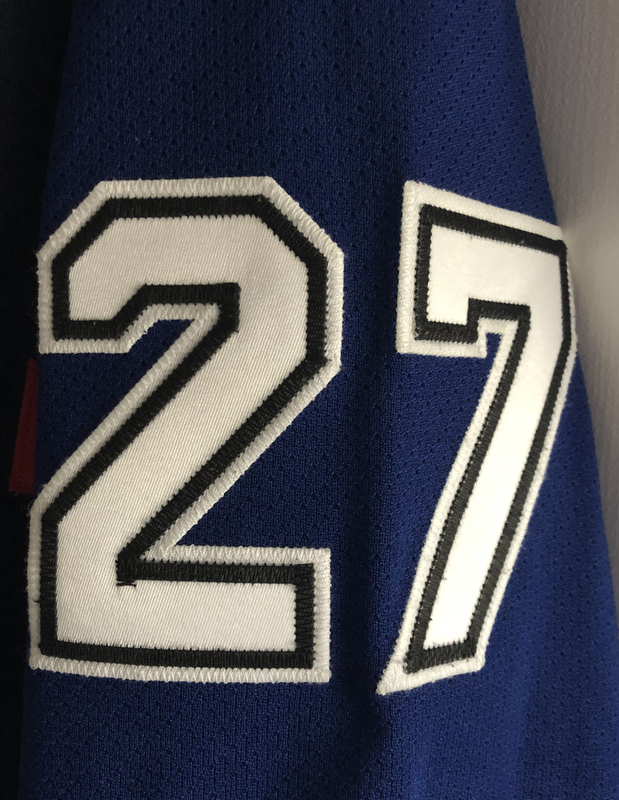 This was worn during the drama filled season standoff between Drouin and the Lightning. 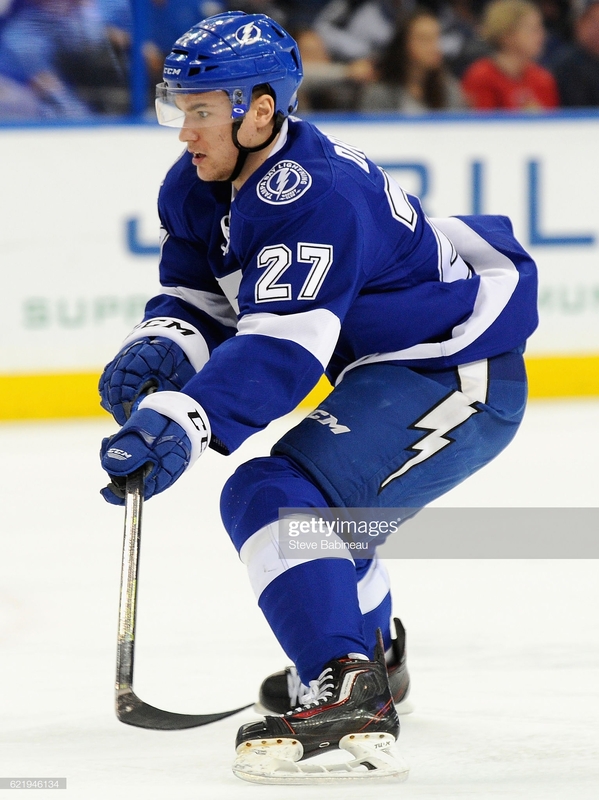 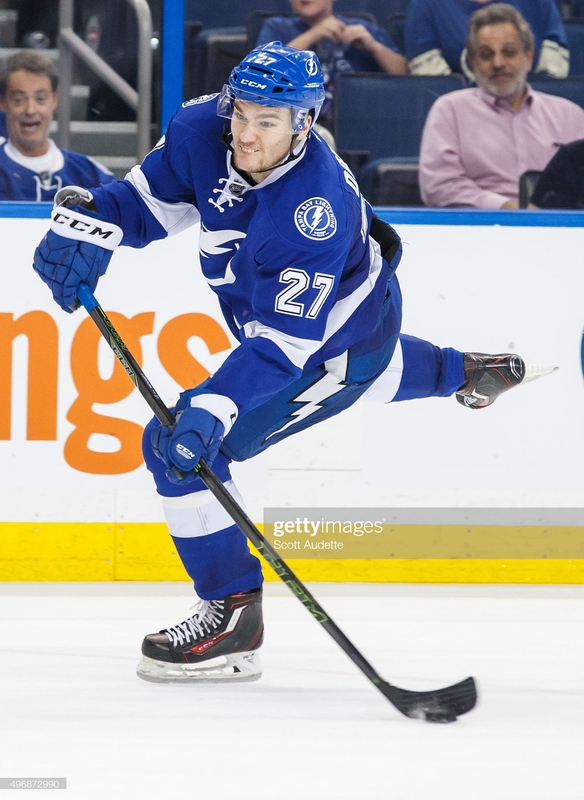 Drouin would play in just 21 games that season before having a bounce back season the following year. 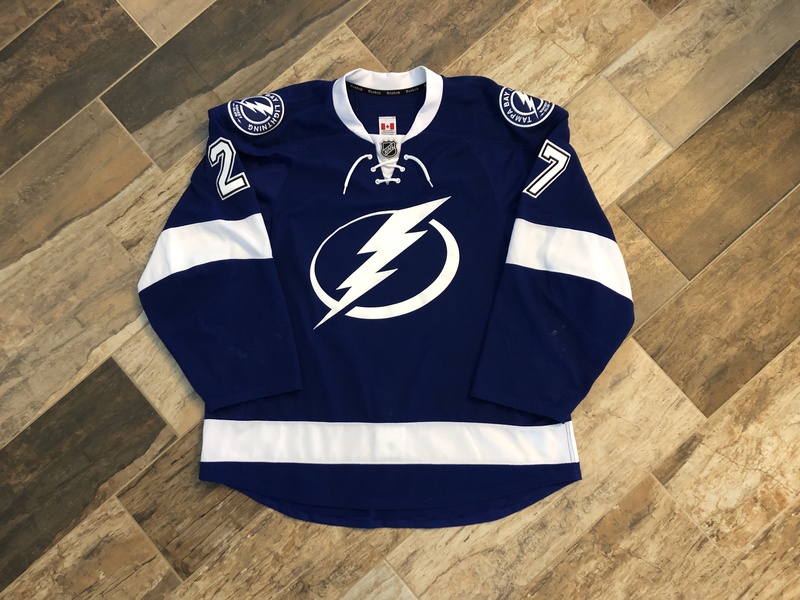 The jersey is photomatched to games in November and December to marks on the left sleeve and overstitching on the left sleeve #2.